Whenever we hear stories about orphanages there is a good chance it is going to pull at your heart strings. The video below is no exception, even though the elephants in this video have gone on to live happy lives. The orphans all come from East Africa and were abandoned when they were less than 2 years of age. With the price of ivory increasing, more and more elephants are being killed and their orphaned babies are being left alone and in need of care. The orphanage is in Kenya and has been around for over 30 years. The elephant sanctuary is huge and it has to be, in order to accommodate these majestic animals. Each elephant has their own private room/dormitory. There is also a group bathing area, dining area, and a fun playground. There are usually 14 orphans at the sanctuary at one time, and they usually spend a few years there until they are reintroduced to the bush. 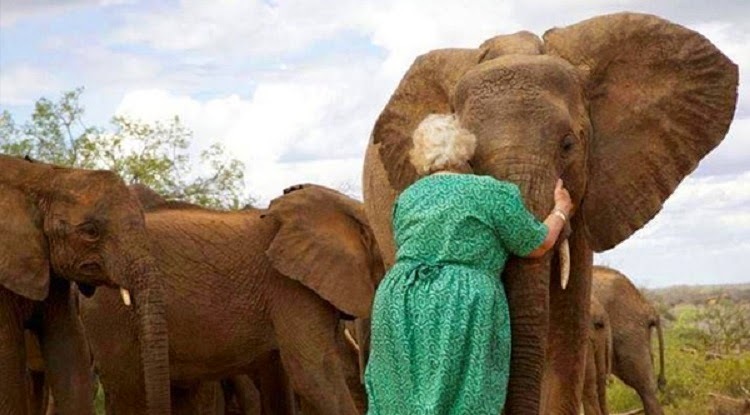 CEO and head nurse Daphne Sheldrick founded the orphanage and has been working with these animals for over 50 years. What Daphne and the crew do for these elephants is truly incredible.